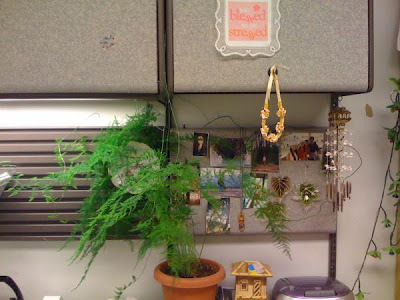 Asparagus Fern, I bought this plant sometime in Feb of 2007 (there was a story behind it). 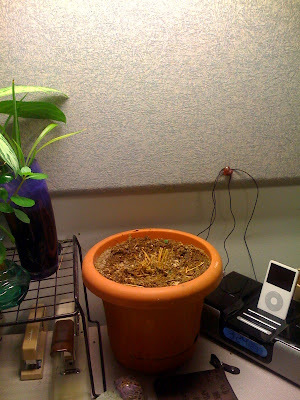 It was just a tinny little plant that after I transplanted it and brought it to my workplace, it went crazy. It was so healthy and the branches were all over. I received so many compliments on how beautiful this plant was and how I got this kind of plant to survived. For almost 2 years it gives me pleasure. But I guess things has it ends. How sad...maybe it had so disease!